The Pogues were an Irish-British Celtic punk band formed in 1982 and fronted by Shane MacGowan. The band was founded in Kings Cross, London, as Pogue Mahone—the anglicisation of the Irish póg mo thóin, meaning "kiss my arse". The band reached international prominence in the 1980s and early 1990s, recording several hit albums and singles. 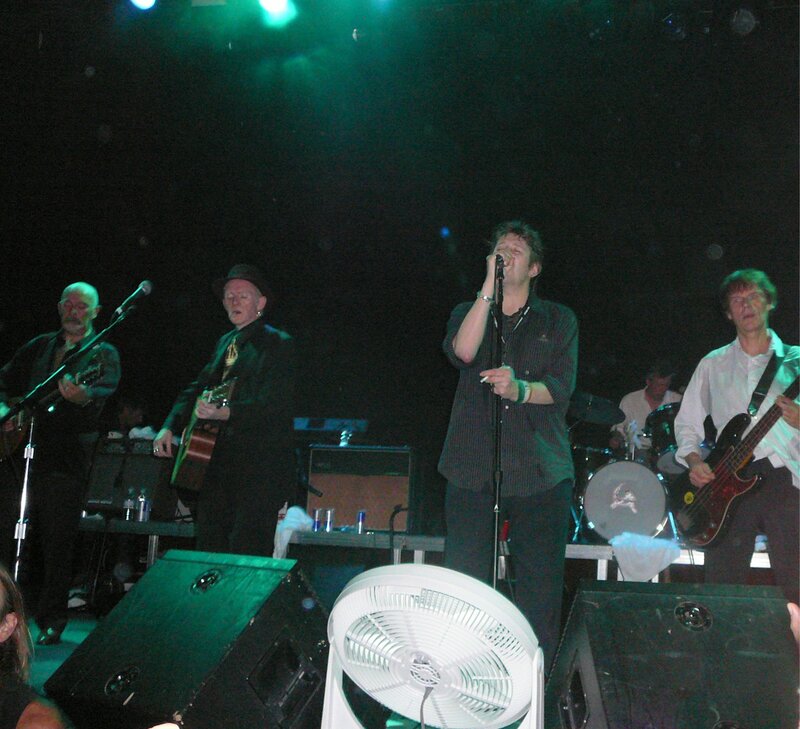 MacGowan left the band in 1991 due to drinking problems but the band continued first with Joe Strummer and then with Spider Stacy on vocals before breaking up in 1996. The Pogues reformed in late 2001, and played regularly across the UK and Ireland and on the US East Coast, until dissolving again in 2014. The group did not record any new material during this second incarnation. Their politically tinged music was informed by MacGowan and Stacy’s punk backgrounds, yet used traditional Irish instruments such as the tin whistle, banjo, cittern, mandolin and accordion. The Pogues have influenced many bands throughout the years, such as Flogging Molly and Dropkick Murphys.